What happens to the Tracker when it is windy? 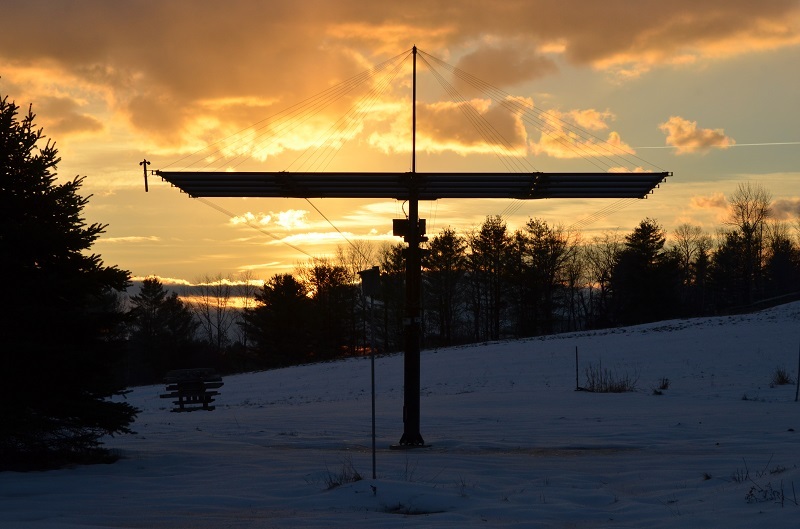 Solaflect PV Trackers include anemometers that are constantly measuring wind speed. If the wind speed gets high enough, the Tracker will “stow” in a horizontal orientation. By going flat, the Tracker presents only a thin edge to the wind, which can slide by easily. Once the wind has calmed, the Tracker automatically returns to its normal orientation. While in the stowed position, the panels are facing upward. If this happens during daytime, they will still produce energy, even if not quite as much as when facing directly at the sun. A Solaflect PV Tracker at dawn on a windy day.